Welcome once more to those of you who read the January blog update and warm greetings to our new readers. As the path to SC19 unfolds, we hope more attendees will turn to this monthly summary for information about important dates and behind-the-scenes snapshots. If you’re new and want to catch up on past blog posts, you can always find them in our archive. Now, on to February, which is a hot month with many submission opportunities opening! Don’t forget that the workshops submission window closes on February 14. These full- and half-day sessions focus on deep and interactive dialogue about HPC-related issues. Submit now and contribute to the conversation. 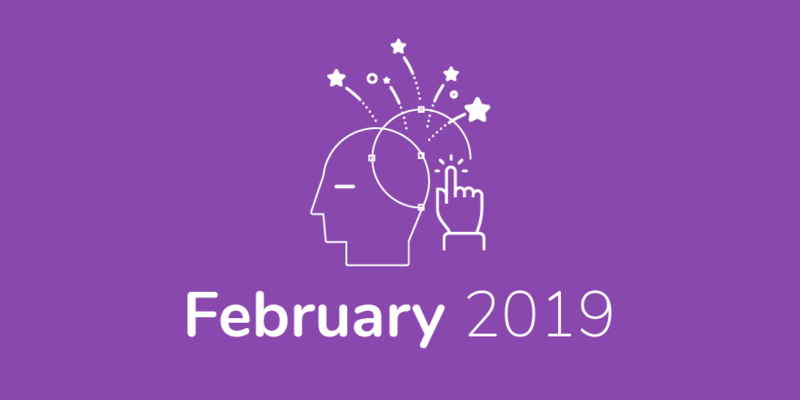 Even with all of these exciting February openings, we know some of you are still wondering when you’ll be able to submit your paper ideas. Don’t worry; that opening is just around the corner on March 1. If you haven’t heard yet, note that we added a new track in Papers to serve as the home of HPC and Machine Learning. We’ve also made Artifact Description (AD) Appendices mandatory for all paper submissions. Feedback from the SC community shows us that reproducibility in science is an important goal, so we have added the AD as one step toward reaching this goal. We’ve also attempted to make submitting your AD a light lift by automatically generating it from a series of questions integrated into the Papers submission form. Whatever part of the Technical Program you decide to submit to, we’re excited to see all of your contributions come together in a fantastic program! Have you ever wanted to look behind the scenes at SC? If you are a student, this is your opportunity! Being a student volunteer helps you become more engaged, network with other students, and build mentor relationships with more experienced SC committee members. All students are welcome, no matter where you live or how far you are into your studies. If you have not participated in SC before or you are an undergraduate student, consider applying as a regular student volunteer. If you have volunteered in the past and are interested in becoming more deeply involved while strengthening your leadership skills, apply as a Lead Student Volunteer. No matter what kind of student volunteer you are, you will have the option to choose where you spend your volunteer hours, including in special fields such as media and communications or government relations. Students interested in high-performance networks should think about the SCinet student volunteer opportunity. Apply now to make the most of your SC19 experience. There is nothing more exciting than building your own cluster piece by piece and testing its computing power! The SC19 Student Cluster Competition (SCC) is the place where teams of undergraduate students get exactly this chance. One of the most interesting parts of this program is the chance for students to reproduce sections of a paper presented at last year’s conference. While learning about and practicing reproducible science, students also get the chance to interact with the paper’s authors and study the portability of artifacts across different cluster platforms. Submissions for the SCC open on February 7. Build your team and apply! I look forward to sharing more SC19 updates in March. In the meantime, keep up with us by reading our blog and following us on social media. You can also visit our website regularly to be part of SC19 and discover how HPC Is Now!